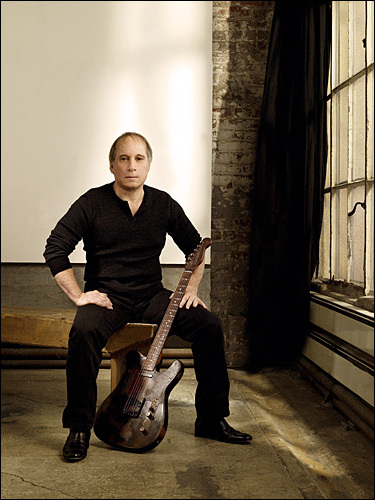 Paul Simon In Concert From Philadelphia Widely regarded one of America's finest poets and songwriters, Paul Simon continues to make inspired music for a vast audience of fans and critics, in an acclaimed career that began in the 1950s. Now on tour, Simon recently performed at the Tower Theater in Philadelphia. Hear the full show. This concert is a production of NPR member station WXPN. 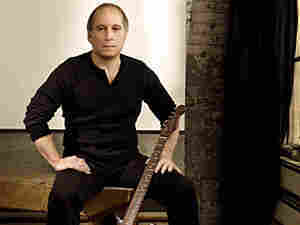 Widely regarded one of America's finest poets and songwriters, Paul Simon continues to make inspired music for a vast audience of fans and critics, in an acclaimed career that began in the 1950s. 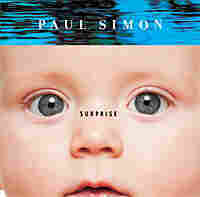 After the May 2006 release of his latest CD, Surprise, Time magazine named Simon one of the "100 people who shape our world." Seeking a new direction for his latest CD, Simon turned to electronic music pioneer and producer Brian Eno. The result was a warm wash of sonic landscapes unlike Simon's earlier recordings. "So that's what I wanted Brian to do as well, was to take as much time as he wanted with his sounds. I really wanted it to be fun. I wanted him to say, I really look forward to working with Paul because I get to do whatever I want. And that's pretty close to how we worked." Now 65, Simon says his latest CD was inspired in part by the terrorist attacks of 2001 and subsequent changes in world politics. "Because I was writing post-9/11 and because I had passed my 60th birthday," he tells Block. "I was more than usually immobilized and having to think about just what it was that I wanted to say in a world that was permanently altered. "And also given the fact that I was, you know, I'm writing in popular music, which is — most of the time you'd be out of popular music at this age. Getting into it and being a songwriter was an idea that I had when I was 14. Now I'm still doing this same idea. It was a 14-year-old's idea. So I have to ask myself all the time if that's still what I feel like I should be doing. And usually, I mean always, I answer, 'yeah I do. I like it'"
Simon recently performed at the Tower Theater in Philadelphia. Click the audio link above to hear the full show.